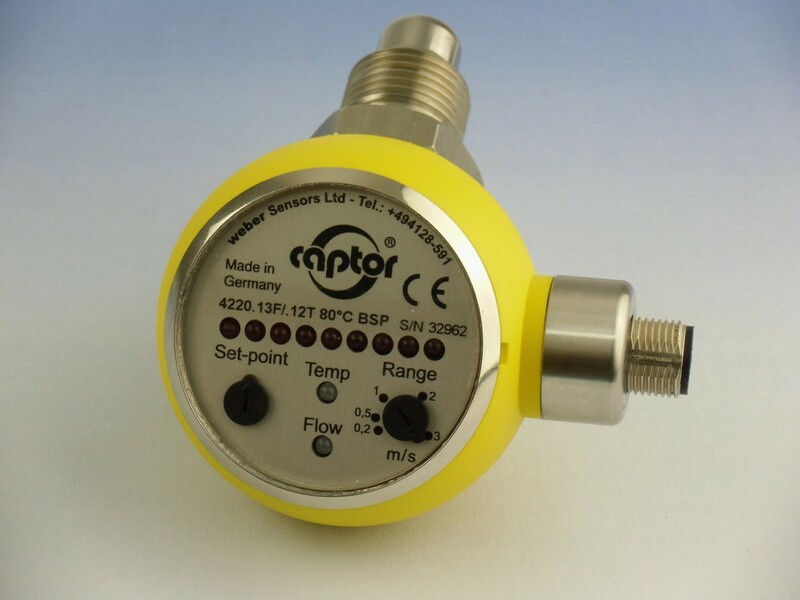 This flow-captor with analogue display of flow and additional temperature output is usable for water based media. The temperature switch point will be factory set according to the customer's requirements. The flow-captor 4220.xxF/.xxT ..°C can be used for applications wherever flow and temperature of the medium must be monitored. A good application example would be the monitoring of the cooling circuit in a wind energy plant.